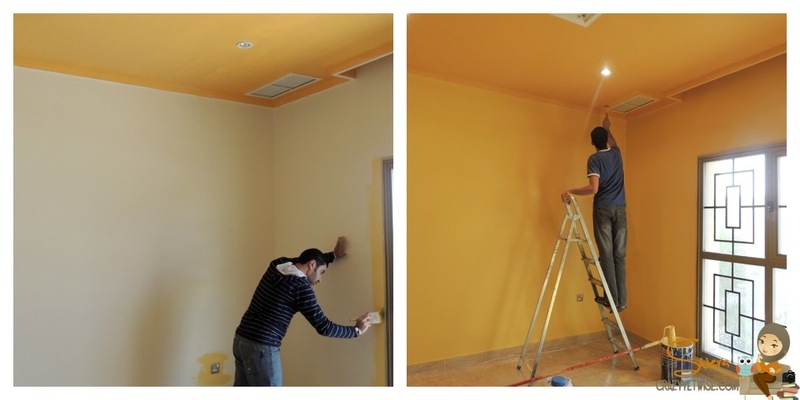 As a gift from my lovely aunt, she decided to take care of the whole nursery, from painting it to buying the main furniture (Love you aunt :* ). The theme is Bumble Bees, because it suits both sexes, as we don’t know whether it’s a boy or girl, we thought yellow & orange would be the perfect solution. The colors turned out to be very relaxing & warm, I keep on imagining my cute little pie playing in this lovely nursery. 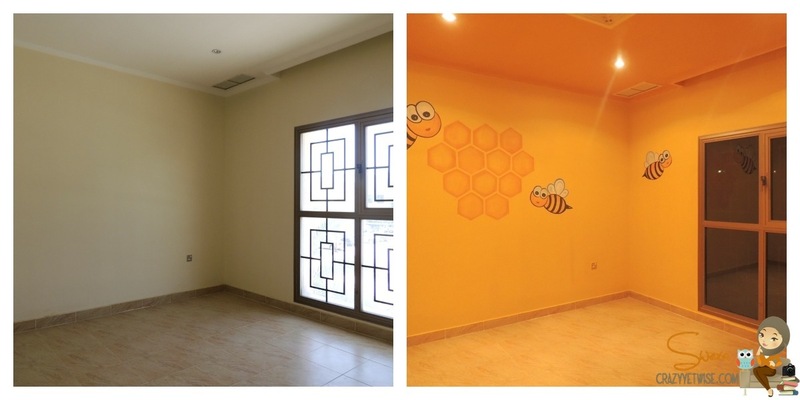 In one day, we managed to finish painting the whole room & do some bumble bees drawings. The painter finished painting the room around 5pm, & the artist took over later on, he managed to paint the bumble bees exactly as the picture we showed him. Even though he pissed us off with his attitude, but he managed to deliver what we wanted. The pictures don’t show the colors exactly the same & even the bumble bees look smaller than their original size. Looks amazing can’t wait to see it in real life! And see the furniture in it! Awww it looks so pretty and warm!! Made me wanna sleep in this room too hehe 😀 and the drawing is so pretty! Can’t wait to see the furniture! Ahh! I absolutely adore it! It’s really beautiful! Oodie’s nursery was amazing, we wen for the Jungle Theme from Mothercare and I picked up a border in the UK with monkeys and giraffes and elephants. It’s amazing how just by having their room nice and bright they feel at ease. Oodie slept though the night from 12 weeks! He was in his own room from then on! Im still searching for a Bee Bedding but hvnt found it yet! 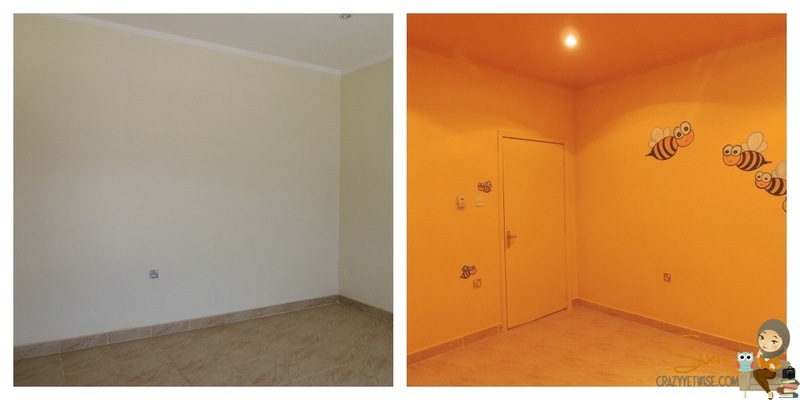 I think i’ll go with a plain one or smth that matches the room! Congrats! I don’t usually like drawings on walls but I can imagine kids love it!